Continuing to the southwest we arrived at the Little Potato Slough Bridge. I was surprised to find such a modern looking bridge in the Delta. it reminded me a little of the previously studied West Seattle Swing Bridge, mostly because of the concrete tower beside the bridge. The columns supporting the swing bridge have an interesting mushroom-like shape. 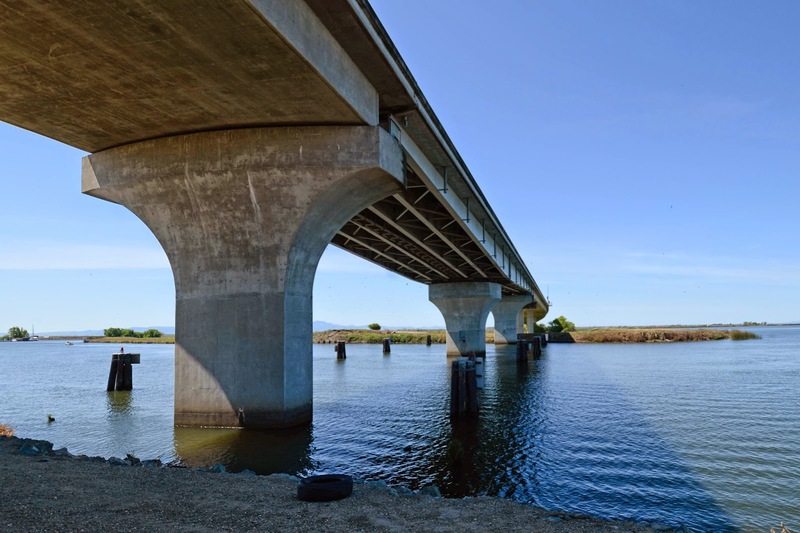 The Little Potato Slough Bridge is a 2980 ft long reinforced concrete box girder bridge on single column bents with a steel swing span across the main channel of the slough. 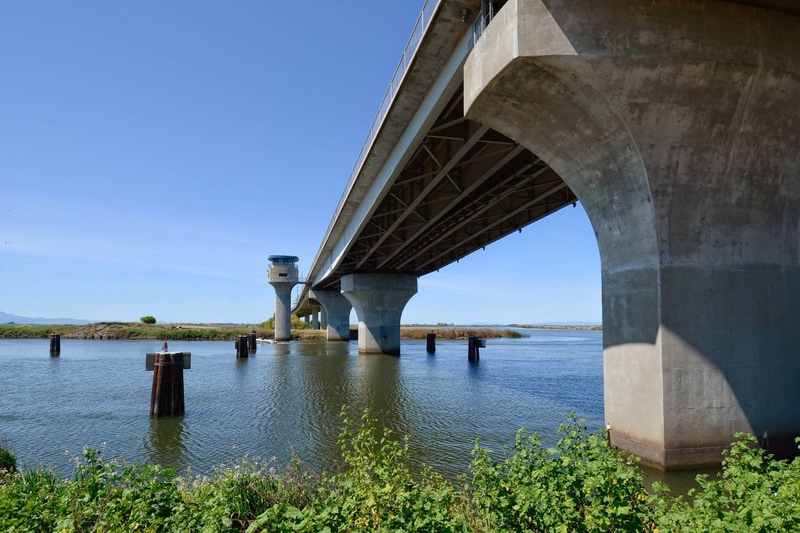 The bridge was built in 1991 and carries SR-12 across Little Potato Slough just south of the Mokelumne River. San Joaquin County, California Bridges: State Route 12 Bridge across Little Potato Slough by Mark Yashinsky is licensed under a Creative Commons Attribution-NonCommercial-NoDerivatives 4.0 International License.